Every enterprise – be it large or small will need to have an online presence today. If an organization wants to sell online – it will need an online store. These online stores need to be ‘hosted’ on an eCommerce platform. 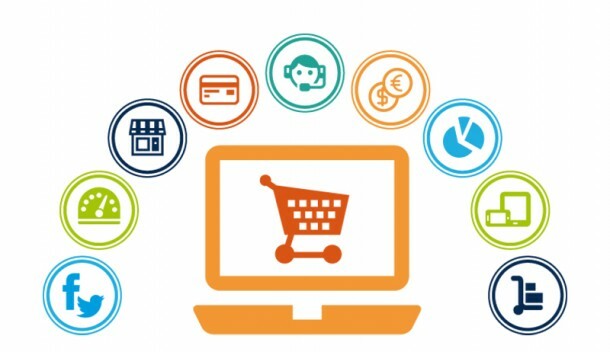 While there are a number of providers who can offer you a complete eCommerce solution, making a choice about the right platform is far from easy. It is very likely that you’ll get a different response from every store owner you speak to. Irrespective of the choice made, it is necessary to opt for one that offers all the features and functionalities you plan to incorporate on your store website. In this article we take a deep dive into Magento – one of the fastest growing eCommerce platforms worldwide. Owned by eBay, it is one of the most popular, open-source, eCommerce platforms available in the market today. It has been adopted by some of the world’s leading brands – like Nike, Olympus and Samsung. Powering more than 200,000+ online businesses, it has a host of benefits that make it a top choice for eCommerce businesses. Magento’s community edition is free and let experts/enterprises setup an online store using plug-ins made by Magento experts. The Enterprise edition follows a licensing model and is targeted to cater large organizations to develop a highly customized and feature-rich Magento eCommerce store. There’s also Magento Go, a hosted solution that is quite similar to Shopify but is primarily aimed at small businesses and is not eligible for upgrades. As a powerful open-source software, it can be customized and configured in a number of ways. The wide range of options, albeit at a cost do require either technical ability or dedicated resources that can effectively leverage this robust platform. Let us consider how Magento eCommerce website development can benefit your enterprise.. Interesting content layout is only possible when you are dealing with a user-friendly WYSIWYG (What You See Is What You Get) editor. Magento helps business users to modify web pages easily without playing with any code. For large companies, this means less technical reliability and more focus on creating user engaging content. This also means you don’t need a high degree of technical knowledge to work with the WYSIWYG editor. Similarly, in case of entry-level CMS options, it is a lot more simpler to give users access to the back-end rather than having them make changes directly on the site. As opposed to some of the eCommerce solutions, Magento complies with PA-DSS. Unlike Drupal. What does this imply? It means Magento follows the globally accepted standards for security and follows 14 critical protection criteria. Large firms who sell to customers globally are concerned about the payment safety and will find it ideal for their needs. It is a great option for any organization that wants its customers to know how particular they are about payment security. The ability to have multiple store fronts is one of the major benefits of Magento. Businesses are able to run multiple stores for a number of brands and maintain a single back-end. It allows you to implement different stores with unique design and features in the same business structure. With the Enterprise edition, you can run multiple sites from the same admin panel. Still want more? Magento features hundreds of extensions or apps that can be leveraged to create the eCommerce store of your dreams. Do not be turned off by the misconception that Magento is meant for seasoned developers only. To conclude, Magento is one powerful platform that can not only be used by large organizations but also benefit entry-level businesses with a limited range of products. If you require an online eCommerce store that’s tailor made to your enterprise needs, Magento will work seamlessly. It has won the trust of the world’s biggest brands with its innovative features and strong performance.